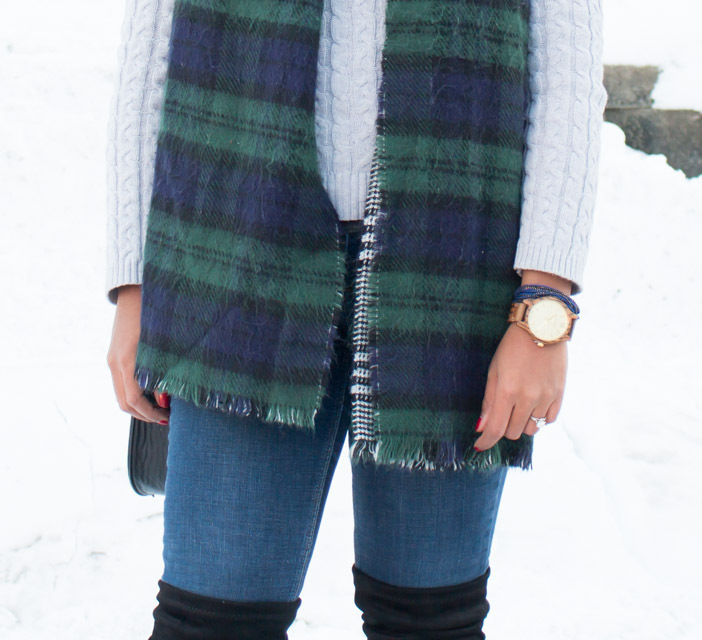 When I think about winter accesories, the two things that always come to my mind are: scarfs & beanies. If you have been reading me for a while, you probably already know that cozy blanket scarfs are my to-go winter accesory for this season. 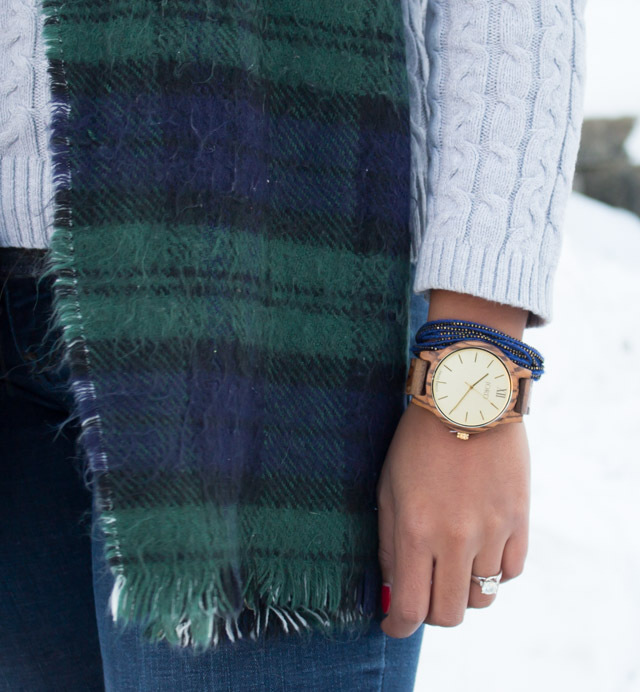 Then the guys over JORD wood watches sent me this Frankie Zebrawood and Champange,and It became my favorite winter statement piece. 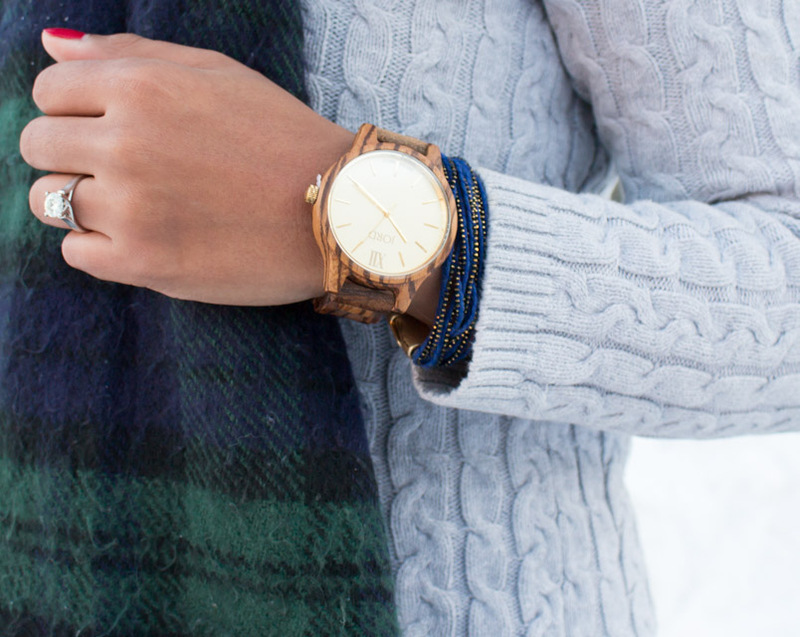 I just love the contrast between knit and wood. Plus the colors and lightweight desing, make this watch easy to match and comfy to wear. Seriously this is a piece you should invest in. ENTER HERE for the chance to win a $100 gift voucher for a JORD wood watch . And don't worry if you don't win, You'll get a $25 certificate at the end of the contest as well. Good Luck. Cuando pienso en accesorios para invierno, lo primero que se me viene a la mente son bufandas y gorros. Si han leido mi blog por algun tiempo ya se habran dado cuenta que mis bufandas gigantes siempre acompanan a mis outfits de invierno. Pero hace poco el equipo de JORD wood watches me envio uno de sus relojes de su collecion: Frankie Zebrawood and Champange y desde entonces se ha convertido en uno de mis accesorios favoritos para esta temporada, me encanta el contraste de la madera con el tejido de sueter. Ademas el color y el material tan ligero de este reloj lo hacen muy facil de combinar y super comodo de usar. De verdad que esta es una pieza en la que les recomiendo invertir. Entren al sorteo AQUI para ganar un certificado de $100 para JORD wood watches. Y si no ganas, no te precupes, todos los que participen recibiran un voucher por $25 tambien. Buena suerte!